We are about to discuss what many consider to be a complicated topic called tzara’at. The main reason this can be hard for the average person to properly understand is because there are several Hebrew terms in the Biblical text that have no adequate English translation. Do not be discouraged by these foreign terms. Endure to the end, I’m sure you’ll be amazed. Tzara’at is not leprosy [Hanson’s disease] as Bible translators have led us to believe. 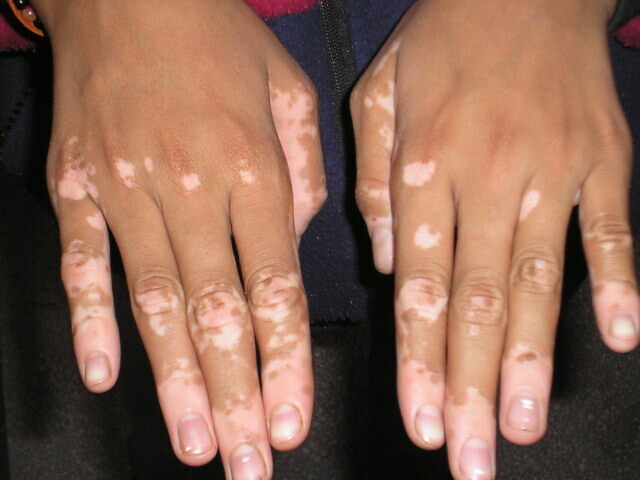 Tzara’at is a Hebrew word in which there is no common suitable English equivalent although it is possible it is similar to a dermatological condition known as leukoderma or vitiligo when it affects a person’s skin; however, we must remember it can also affect physical objects which is why it’s also translated as mildew. Tzara’at, contrary to popular belief, is not contagious like a communicable disease that requires isolation to prevent its spread. This becomes evident if you carefully read the laws concerning tzara’at. The isolation prescribed is not for medical purposes. It was for spiritual purposes—to prevent a severe form of uncleanness from being transmitted to the temple and the people. The Jewish Sages taught that tzara’at was primarily the result of the sin of slander because the Hebrew word metzora which is usually translated into English as leper is a contraction for the Hebrew word which means “one who spreads slander.” This is why Moses’ sister, Miriam was briefly struck with tzara’at. Tzara’at was also considered to be the result of other trespasses as well. It’s fair to say that tzara’at is a physical condition of a spiritual problem. Leviticus 13:1-4 says: And the Lord spoke to Moses and Aaron, saying: “When a man has on the skin of his body a swelling [s’et], a scab [sapachas], or a bright spot [baheret], and it becomes on the skin of his body like a leprous sore [nega tzara’at], then he shall be brought to Aaron the priest or to one of his sons the priests. The priest shall examine the sore [nega] on the skin of the body; and if the hair on the sore has turned white, and the sore appears to be deeper than the skin of his body, it is a leprous sore. Then the priest shall examine him, and pronounce him unclean. Note the three Hebrew words s’et, sapachas, and baheret. Two of these words are exclusively used in reference to tzara’at: sapachas and baheret. The Jewish Sages describe s’et and baheret as colors (not a swelling or bright spot) – each having its own sapachas (secondary category)—not a scab. Therefore there are four colors of tzara’at that a priest must compare to healthy colored skin. In addition, the color of hair in the afflicted areas must be checked as well. Nega which is translated as sore can also be translated as spot, infection, wound, or plague. The person who has been declared to be afflicted with tzara’at is called a metzora. To see splotchy light colored places on someone who has a naturally darker skin tone is quite shocking and turns many heads in public places. I would not know for sure if these areas of skin which may have been once normal and suddenly lacking in pigment are truly tzara’at or not but I suspect that they are. The following portions of Scripture are straightforward; however, I will try to share some things I feel will enhance our understanding. The isolated person is automatically tamei (unclean) since he’s required to ritually immerse (wash) himself despite the fact he isn’t yet declared to be a metzora. To be tzara’at, the skin and hair must be white and the affliction must appear to be deeper than the skin. If it isn’t obvious, the person must be isolated for seven days to determine if the affliction is a healing sore or tzara’at. This may require another seven days if the identification of the affliction still isn’t clear. If the affliction of tzara’at completely covers the person from head to toe, he is declared taher (clean) but if he begins to heal, he is once again declared tamei (unclean). This is one reason why tzara’at is not considered a true communicable disease. Most translations use the term “boil” for the Hebrew word sh’chiyn. This could also be translated as an inflammation. No matter what caused the boil or inflammation, once the wound is healed, if it appears to have a white s’et or baheret, it needs to be evaluated for tzara’at. Any burn that has healed and has a white baheret that is streaked red or is all white needs to be evaluated for tzara’at. An affliction of tzara’at of the head or beard is called a netek which is often translated into English as a scaly leprosy, an itch, a scale, a scall, or dry scall. Again, we have a word in Hebrew that has no English equivalent. If golden yellow hair grows in an area of the head or face where hair would normally grow, then it is considered tzara’at. Other areas of flesh require white hair in order to be declared tzara’at. A person with normal baldness may be found to have a s’et affliction that is white with a red streak that needs to be evaluated for tzara’at. God commands the unclean to declare their uncleanness and live separate from His people. Isn’t it interesting how the wicked declare their sins to the world as if they aren’t doing anything wrong and live among us in order to get us to accept their lifestyles as normal. Their lifestyles even affect the churches despite God’s command to remain separate. As I mentioned before, tzara’at is not mildew as our English translations suggest. Tara’at can occur in people, be on things, or afflict dwellings. Remember, tzara’at does not have an English equivalent. Tzara’at seems to be a very mysterious affliction but hopefully this next section will give us a clue regarding its true nature. A metzora cannot simply perform the purification ritual for cleansing from tzara’at in order to be healed. He must first be healed by God. The priest must come to him outside the camp to see if he has truly been healed before the purification ritual can be performed. The Hebrew word for “clean” throughout Leviticus 14:7-11 is taher. The Greek Septuagint uses the word “katharizo” (verb) and “katharos” (noun). The term “clean” is repeated several times for the various stages that occur over a period of 7 days. The Jews understand that the healed metzora experiences various degrees of contamination during the purification process. First — the healed metzora can enter the camp of the Israelites. Second – the person’s head, beard, and eyebrows are shaved. Third – the person brings offerings but still remains only at the entrance of the Tabernacle until the sacrifices are complete. Then he may finally enter the Tabernacle. The Hebrew word for healed is raphah. The Greek Septuagint uses the equivalent word iaomai for “healed” in Leviticus 14:3. Remember, God must heal a metzora and the priest must verify that healing has taken place before he can perform the purification ritual to accomplish cleansing. This passage in Luke 17:11-19 is really an incredible story. The ten people with tzara’at asked Jesus for mercy so He told them to go and present themselves to the priest. As they were on their way to do so, one of them noticed he had been healed (iaomai) and returned to give thanks to Jesus. What’s amazing here is that verse 14 says they had been cleansed (katharizo). That’s what they were supposed to go to the priest for. This would be as impressive as Jesus telling a crippled man that his sins were forgiven and then making it possible for him to walk again. In both instances, Jesus addressed both the spiritual and physical condition of men. This was a great testimony of Jesus’ identity to the priests and others who had never seen a healed metzora. In Luke 4:27, Jesus said that during the three years of famine during Elijah’s time, only Naaman the Syrian had been cleansed (katharizo) of tzara’at even though many others were afflicted with it during that time. I don’t know of any record of others with tzara’at being healed or cleansed other than Moses’ sister, Miriam prior to Jesus’ ministry. Certainly, the presentation of numerous people healed of tazria caused many priests to believe Jesus was the Messiah. They both are performed outside the camp. Both have a 7 day purification period. On the eighth day, a new creature emerges. Both use cedar wood, hyssop, scarlet yarn, blood, and water as part of the purification ritual. Both have to shave hair off their heads on the seventh day—the day of their cleansing. They both have to offer a sin offering, a burnt offering, and a trespass offering. The purification ritual for the healed metzora found in Leviticus 14:1-32 has similarities with the consecration of a priest described in Leviticus 8:19-21 because blood from the offering was applied to the right ear, right thumb, and right big toe. This leads me to believe that as a metzora is cleansed, he is consecrated to God. Being a metzora and contact with a dead body show us the most severe forms of uncleanness because they require a purification ritual that pictures death, rebirth, and/or resurrection. All other less severe forms of uncleanness require immersion in a baptismal pool (mikveh=ritual bath) and time passing until evening. Someone who has never trusted Jesus as their Savior is as spiritually dead as a metzora who still walks the earth. They are defiled and unclean. They need the atonement and forgiveness of sin that Jesus’ blood offers and they need their sins taken away. They need to be cleansed by the blood and water of Jesus’ sacrifice. Aren’t you glad 1 John 1:9 says, “If we confess our sins, He is faithful and just to forgive us our sins and to cleanse us [katharizo] from all unrighteousness”? Once our sin is atoned and forgiven and once we are clean, we can be consecrated to the Lord for ministry! This entry was posted in Apostolic, Hebraic Roots and tagged cleansing, healed, leprosy, metzora, mildew, tzara'at. Bookmark the permalink. Very interesting article. Nice comparrison of the the 1st Covenent with the New. I enjoyed it and find it accurate. I believe the pigment discoloration on my wrists and hands was caused by pink/orange mildew or mold. We had wet pool clothes in the shower for days mold spread I picked them up to bring them to the wash machine 80 feet away. I washed my hands. The itching, burning sensation set in, it was too late the fungus was eating away at my skin. It happened a few years later with my feet one side reacted (became a uniform color with my healthy skin) to the antifungal I used the otherside didn’t it stayed without pigmentation. I was nursing and pregnant for quite a few years in a row. I was told my immune system may have been weakened because of it. Making it easy to pick up the fungus. My bloodline is of the language you question above. I believe the original translators had something there with the (Mildew=Tzara’at(Vitiligo) and the writer of the post is a little to soon to dismiss the concept as a whole. But all in all great info. Thank you for all the informative names. Great article. Thanks so much for sharing your story. I hope you had the specific fungus tested to identify it in order to choose the proper anti-fungal. Unfortunately, this takes much longer to do than identifying bacteria. There are many kinds of fungi, and like bacteria, some are resistant or sensitive to various medications. I have also noticed that some things in life are just physical in nature, others are spiritual, and others both. I think it’s often best to address the possibility of both as soon as possible. May YHVH bless and heal you.